Before Bitcoin, the only way to know for sure a contract would be enforced would be to put trust in a third party, like the government and its court systems, or a financial institution, to enforce it. In his latest Medium post, Digital Rights Management: Serialised Media, Dr. Craig Wright explains how this can be done with the Bitcoin protocol, now reborn in Bitcoin SV (BSV), and without a trusted third party. 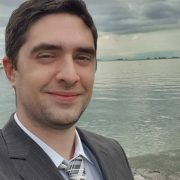 nChain’s chief data scientist gets into some specifics of how the code is implemented in code to work with the BSV blockchain, and provides full details of the hypothetical scenario in the Appendix of his post. For those who are a little less coding inclined though, the trade described in Table 1 shows how the protocol works beautifully. It all begins when Alice and Bob agree on a transaction, a deadline for it, and trade their public keys. From there, both Alice and Bob generate a secret, a transaction agreement (the contract), and a stipulation for a refund if the contract doesn’t go to plan. Once they’re both done, they submit those pieces to the blockchain. This type of scheme was originally devised in the Bitcoin Wiki in 2014. Now that Bitcoin has returned to its roots in the form of BSV, it’s ready to take on this type of smart contract, and do it better and with more functionality than rival altcoins.